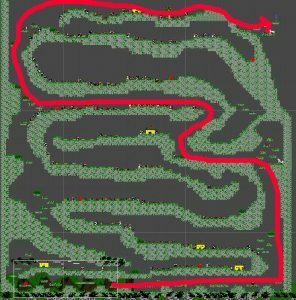 This article contains a Stinky Snake fast track through the general level maps of the game as well as showing a red path from beginning to exit. For more information about the game, check out the User Manual. 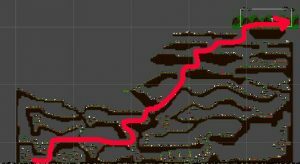 The red lines showing a quick way out of the level is of more importance that the clarity of the images included. They are meant to be fuzzy. 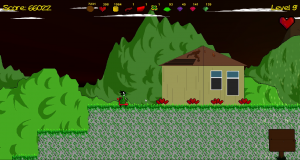 This level introduces a denser level design. 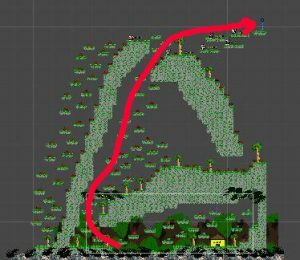 So, a quick out of this level would be to turn left and try to get to the top of the level. Be sure to stop by the church halfway up. 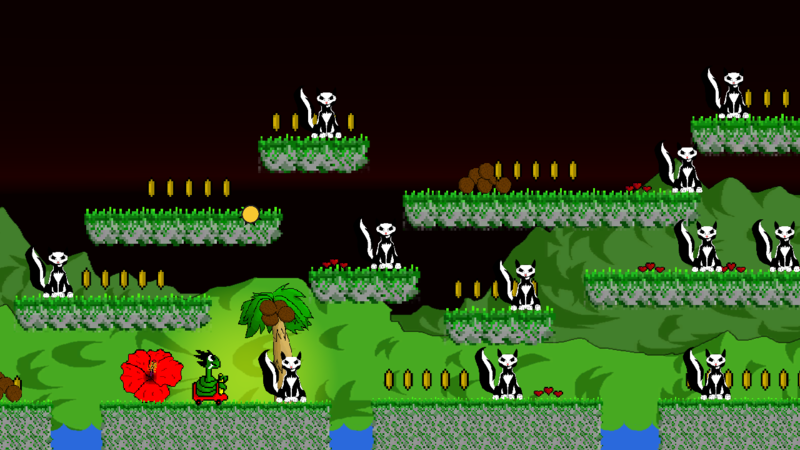 Then travel all the way to the right; this is where the Player (Snake) encounters the boss Skunk for the first time. This is more of a flat level. You will need to collect limes for when you meet the witch later in the level. The lime trees are located at the topmost platforms. The witch has a clover that you get from her the second time you come close to her. I would suggest getting the reward for the limes, going past her and then coming back. The clover will be revealed — which the Player grabs. At this point, you will be near the end of the level. The lime trees are mostly located up high. You will need these for the Hotel and surrounding suites. 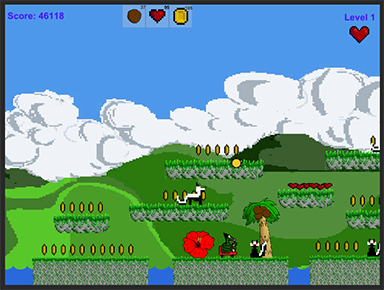 This is another horizontal level. 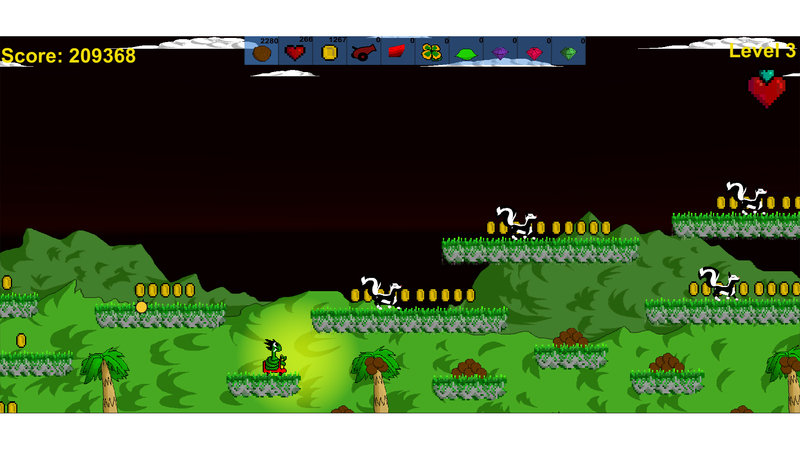 The leprechaun is introduced in this level. This level signifies the start of the more complex levels. The key to getting through and out of this level is to go to the right to the third mini-platform, up, to the right all the way and then take a mystery plant up quite a bit. Continue to the left slightly and then right a little bit to the exit. This level is flat– there is an Old Mill monument about halfway through way up high. This is one of the less dense levels — more monuments, just keep going to the right. 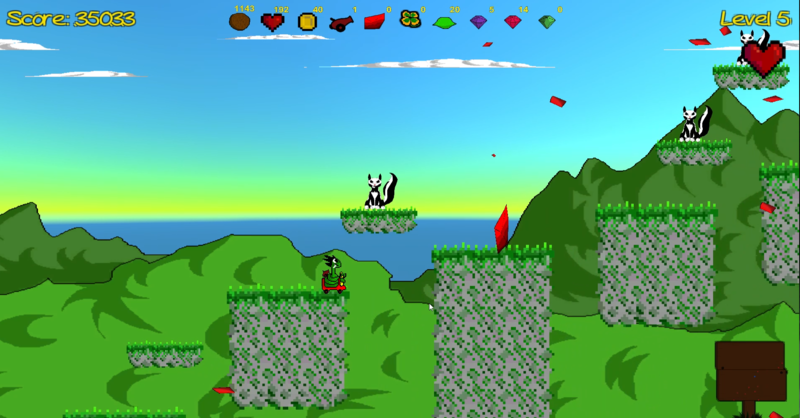 Another flat level with the first battle between the Player and Skunk. 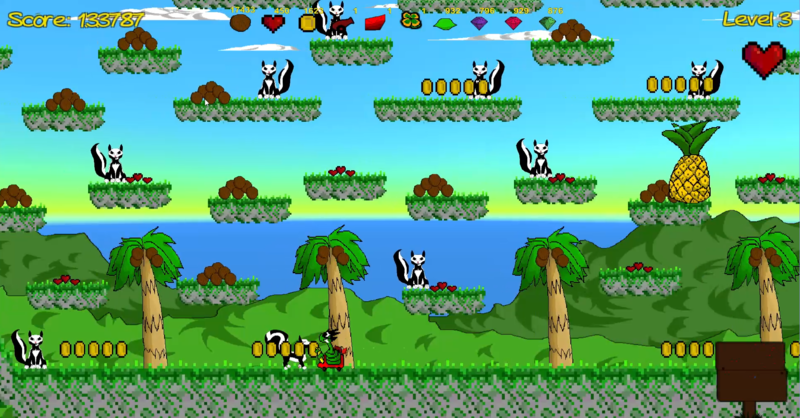 The level ends when Skunk is hurt but not completely eliminated. Move to the top all the way and over to the right to the exit. This is one of the complex ones. One way out would be all the way to the right, up a couple of mystery plants, take a left, up a mystery plant and up to the right. This leads to the left. Go upwards all the way, and then to the right to exit. Another complex level. Take a right all the way and then up to the exit. Go left, up all the way, and to the right to the exit. Take a right all the way to the end of the level and take a mystery plant all the way to the top. The exit is within view. Taking multiple right turns to make it to the top right corner of the map–to the final battle. 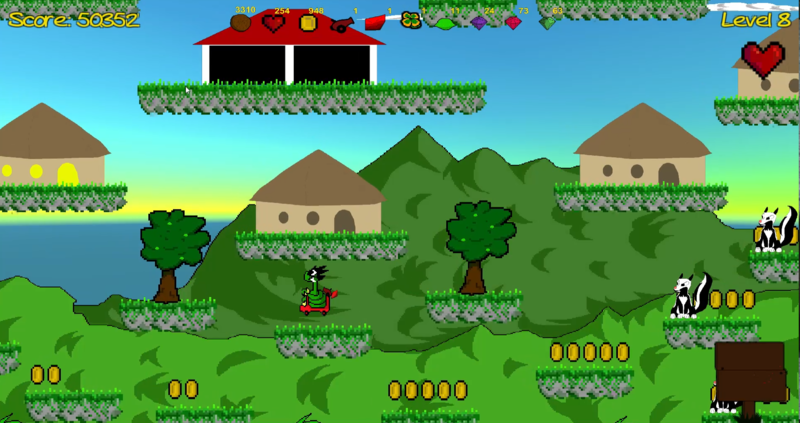 The above level maps can help guide the Player through the game to find Stinky Snake. 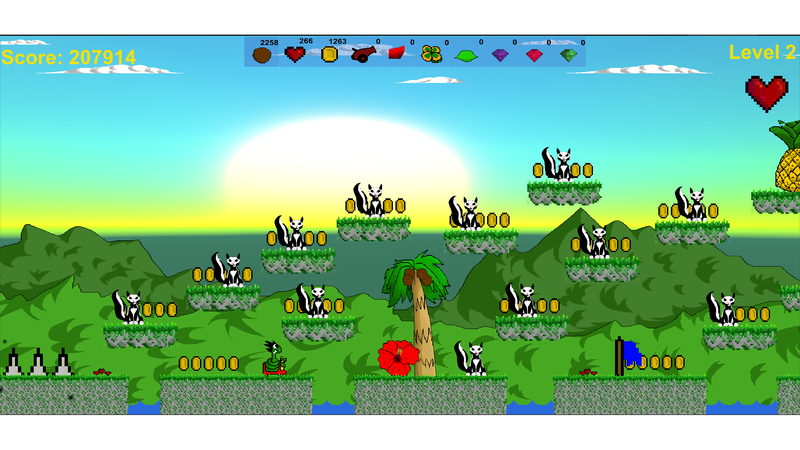 Please note that in Levels 12 and 17, the Player encounters the Boss, Skunk, and jumping on the boss has no effect like it does with the other skunks throughout the game. Any question or comments, feel free to email at info@stinkysnake.com. A pictorial glimpse into Stinky Snake’s journey through the Emerald Isle to free his family from Skunk, the leader of the skunks. 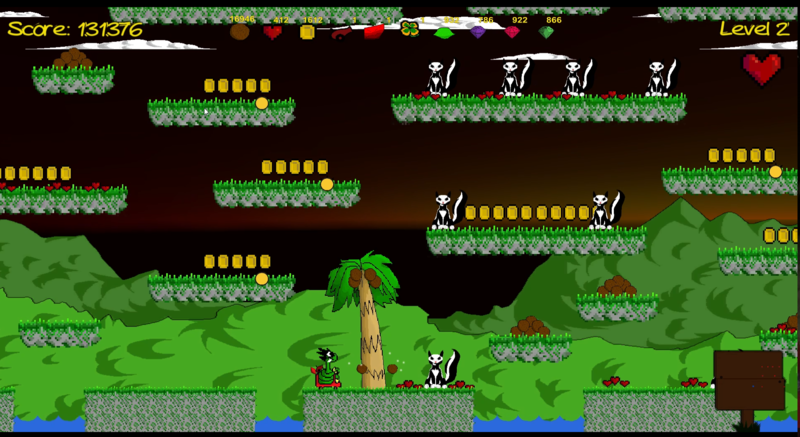 With the ability to throw coconuts by one or more with the coconut cannon, to clear out the nearest ten skunks with a loss of health, to bump into skunks, to push skunks off the platforms without getting punched by skunks, and stomp on skunks–Stinky Snake is on the way to victory in finding his family and eliminating Skunk and all of his followers. Stinky Snake here is heading towards the first real interaction with Skunk after making it pass these dangerous spikes and more skunks. In between collect treasures, he rolls toward a save location representative of a landmark structure. Stinky Snake leaping off a platform to a coconut store. Visiting the hotel and surrounding guest suites at Old Towne, he continues to pick limes and collect treasures. Beware of the hotel, it will take all your coins. Stinky Snake leaving Runway Ghaut after drinking water and collecting treasures. He is pouncing on a skunk and collecting coconuts. He is sneaking up on more skunks to collect more coconuts, coins and jewels. 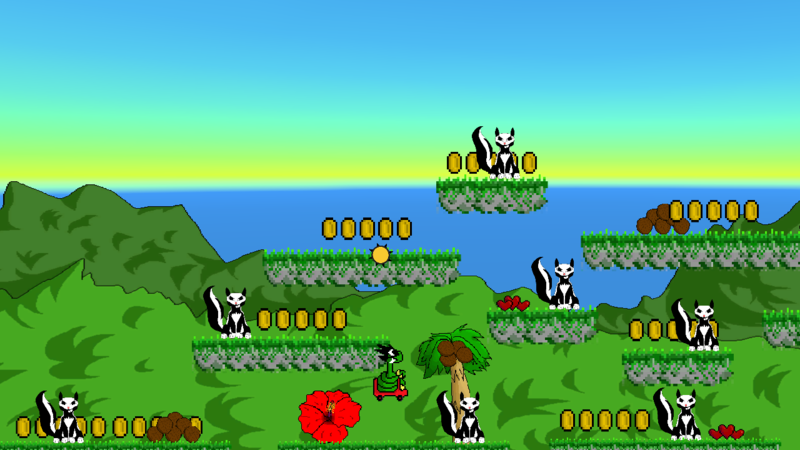 Nose-to-nose with a skunk, he is on the way to find the coconut cannon on Level 3. 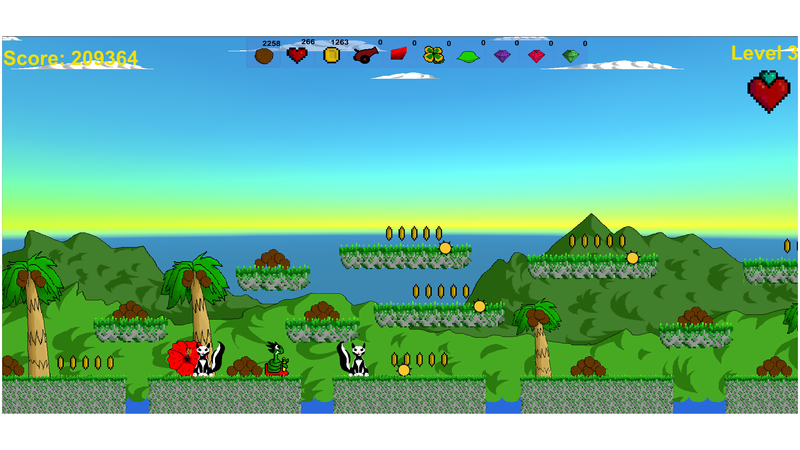 He is throwing coconuts at skunks in the second level of the journey. In the islands capital, Plymouth, he explore monuments and continue to collect coins, coconuts, limes, and jewels. Here he is seen pouncing on a skunk. Here he and Skunk meet again in their final battle. Our game is available on Steam in our storefront. 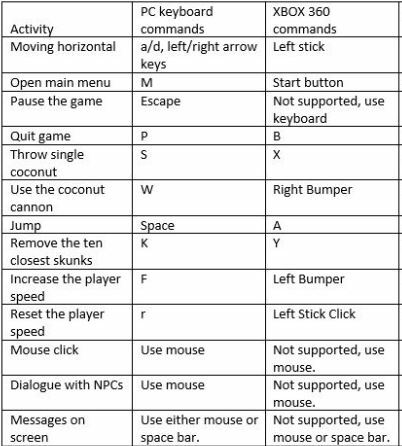 Find our user manual for the game appears here. For more about our team and development process visit our development blog. Follow us on Twitter, Facebook, Youtube and Instagram for updates. Stinky Snake, the video game is now on Steam.